Rare Editions Little Girls Yellow Daisy Cardigan Dress is perfect for Easter or any special occasion. 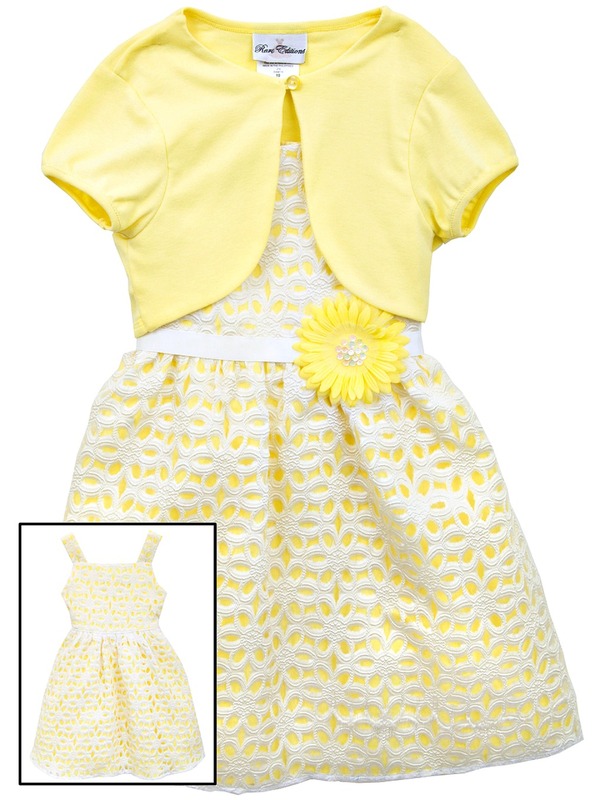 Adorable toddler or girls sleeveless Easter or spring dress in sunny yellow jacquard comes with matching cardigan. Too cute!